Users can take deep water samples with Economy Water Samplers. 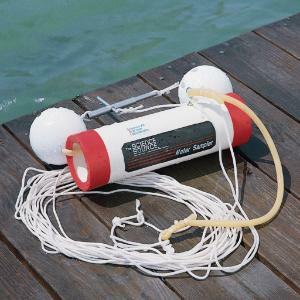 A single, 14-meter line deploys and triggers the sampler from any depth in lakes, rivers, or ponds. The flow-through design allows for valid sampling for measuring temperature and water quality. The sampler's full capacity is 1.5 L.